I am pretty lazy when it comes to my hair. I rarely style it, usually let it air dry and go quite a long time without getting it cut (a year and a half last time, yikes!) My hair also tends to get pretty dry. Every once in awhile I need something super hydrating to add some luster and shine. Enter this DIY almond oil hair mask! This isn’t even really a recipe. It has three ingredients, but two are optional…so really, it could be one ingredient. The magic ingredient is sweet almond oil. This stuff is great for your skin and hair and can be used for many homemade beauty products. I chose to add in peppermint and lavender essential oils. 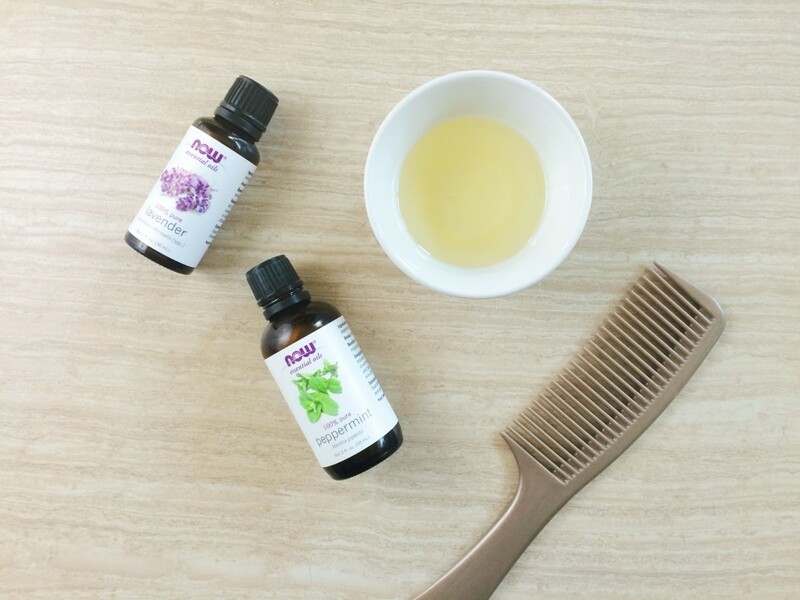 Peppermint and lavender can help with both dry and oily hair/scalp and promote hair growth (plus they smell really good!) This is a quick and easy way to get silky, shiny hair! This looks so nourishing! Have you used coconut oil? That is what I use almost every night and was curious how they compared. Thanks!